Yes lots. Thunderstorms in San Simeon. Sorry I didnt get pics of the stalk. I was visiting a national monument when I walked by this little guy. It looked very peaceful in a clearing surrounded by local coastal fauna (should of taken a pic sorry! ), so I didn't bother it. Any ideas what it might be? It is the most bizarre mushroom I have ever come across! Mild earthy smell, nothing overwhelming. Had to stick my nose into the mushroom to get that scent. Found a large ring of mushrooms out in my garden. The tops felt leathery, no slime at all. I completed the survey. Can I try one out now? Did some primitive camping out in Northern California nearby a national park. We didn't find that many morels, even so, someone did tell me not to disclose where I found them. But here's the photos of what we found over this past weekend 5/22/2016. I wonder if some of these other mushrooms were edible or not. We just ate the morels! They were the best mushrooms we've ever had! The treasure hunt part is what really got me into it! Hey everybody! My girlfriend and I just started out learning to forage in the wild and mushrooms sort of took the lime light. We're beginners, so we started by reading up several books about mushroom hunting and carrying pocket guides with us when we forage. 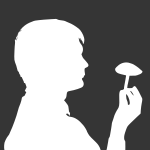 We're really excited to be part of a forum on mushrooms! Our first mushroom hunt was out in the Bay Area in the San Pedro Valley Park in San Mateo just after the recent storm. We gathered some Candy Caps (lacarius rubidus) and what we think is a Man on Horseback (tricholoma equestre). We snipped at the gills of each potential candy cap to observe the milk bleeding. As for the Man on Horseback, while it was drying, a million little white worms came out from within, so we threw it away. Heard it was poisonous but not poisonous? Anyways, we're really grateful to be part of this community and look forward to sharing our finds and learning from everyone here!